This is a crash course that was recently developed for our copy team, and it has really helped our new writers get into the rhythm of things. It’s short and simple, but the perfect kind of thing to throw at your team for awhile so you can come back expecting them to understand what drives your needs. 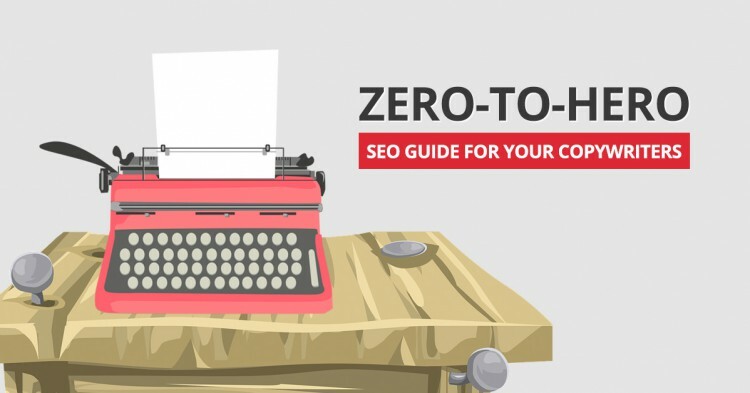 That also means, if you write original, interesting and compelling content that deserves to be read, you will be ranked and rewarded appropriately in Google’s search results. Now, in 2015, we’re held to a higher standard. Not that this isn’t important. It definitely still is. Draw natural links from other blogs/websites in the industry. Spur your audience into a targeted action (such as an email signup). First, search engines use spiders to crawl content around the web, filtering through new information and websites as it finds it. Second, search engines will index content that it finds useful for inclusion into its search results. Third, search engines will rank content based on how it interprets its importance through its algorithm. But, unfortunately, they aren’t humans, and sometimes they need help in identifying what content goes where. Think of it like a search engine is a camera. They can take all the pictures they want, but they need you to focus the lens in order to best see what you’re intending to communicate. The team entered the bottom of the seventh leading the game 5 to 3. They had a great start scoring five times to open the game and have held on to the lead since then. They’re hoping that a well rested bench can help them finish the game strong and increase their lead in the division. Now, that paragraph is clearly about baseball. But since the actual word baseball is not mentioned in the article, the search engine may not be able to exactly distinguish that. It’s close enough that they could think it’s a basketball game, for example. Other examples would be the fact that search engines cannot see images. By that I mean that they cannot view photos to understand what is going on in the image. To solve this problem, authors writing for search engines must be sure to integrate certain rules into their writing. Again, remember that you must always first write for humans, and then tinker your writing if necessary to make it look good to the search engines. 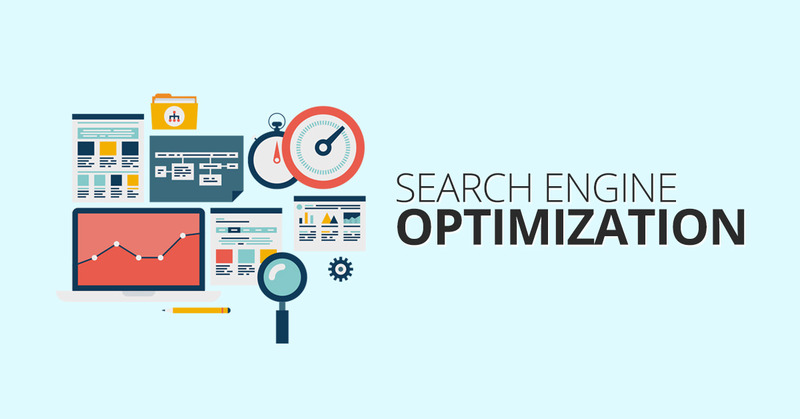 Most assignments that are aimed to capture search engine traffic will be based on keyword research: essentially a study of certain search terms, how often they’re searched for, and whether a term is competitive to rank for. 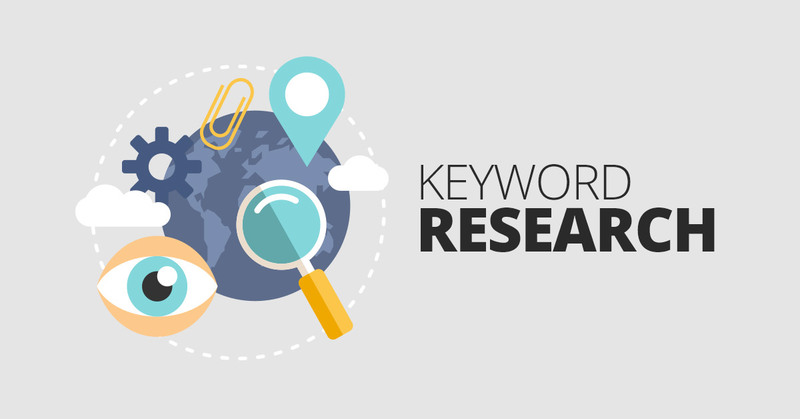 Understanding basic keyword research will make a big difference to properly optimizing an article for SEO, and consequently having it perform well in search results. Notice how the terms are grouped into either the red or the pink side of the table. The red table are similar search terms that will form the main topic of our article. The pink table has search terms that are relevant to the article, but possibly not the main focus of the content. When writing an article, we want to try and cover as many relevant keywords as we can without appearing too spammy. That’s why when approaching an article, it is best to start by creating an article’s h1 title, SEO title and meta description before creating the body/content of the article. Consider this post on No Hat Digital, a show notes page for a podcast episode. Below is the search snippet. Don’t leave out your Titles and Meta Descriptions. Even if you’re not the one who will install the posts on WordPress, please write them and include them with your article right at the top. So, let’s put together our titles and meta description based on the KW research we were given. At the same time, you want to try and craft it to include a few of those red keywords if at all possible. Again, never cram these together just for the sake of fitting it in. Neither is really spammy, and seems like a fairly natural article title, written for humans. And if we use the second option, we’ll target 1,300 searches from “best accounting software” as well. IMPORTANT: An SEO Title should always include the primary keyword you are trying to target. In this case, it is accounting software. Meta descriptions DO NOT influence search engine results, As such, they should be written 100% for humans, and offer a quick preview of the article. If you can even get a quick CTA (call-to-action) in there, even better. But the point is that, again, you should try and fit the Meta Description around your keywords. And what you can’t reasonably fit into your meta description, shouldn’t really go into your article. Compare free, open source and premium personal and small business accounting software. Use our interactive tool to find the best programs for you. Again, notice how it doesn’t try to stuff too many keywords in there. Even better, it previews the function of the page (comparison tool), and has a call to action: Use our interactive tool. Plus, it also has the primary keyword again, just for good measure. Most of what applies to meta titles applies to the headers on your page. Mild keyword usage can be effective, particularly when it also serves the needs of your visitors. Keyword stuffing your headers is not any more appealing to search engines here than it would be in your metas, and since your customers are already on your site at this stage, you need to work harder not to annoy them. Make headers descriptive, and create enough that readers can easily skip to the information they want. Now that you have your article’s Title and Meta description, you should have a good idea of how the content of your article will look. Always draft your article first, and optimize at the end. The idea is to start with a compelling article, and then apply SEO at the end if you need to. Keyword density is essentially how frequently you use your chosen keyword within an article. Ideally, you should always stay under 1%. That is, to say, if your article is 500 words, stick to 4 total mentions of the keyword or less. Be very careful not to go over that 1% limit. Doing so can trigger a penalty from Google and severely impact search engine results. When calculating your keyword density is very important to open up Google and search for the term yourself. Google’s algorithm classifies certain closely related terms as one and the same. An example would be accounting and bookkeeping. That means that all instances of both “accounting” and “bookkeeping” should be considered together when calculating a keyword density. A Google search for bookkeeping will return all instances of “bookkeeping” in bold, because that’s what you searched for. It will also return instances of “accounting” in bold, because it considers it to be the same term. In the last year, Google has become much stronger at associating various phrases as related to keywords, and vice versa. One great example uses the example of the “White House”. 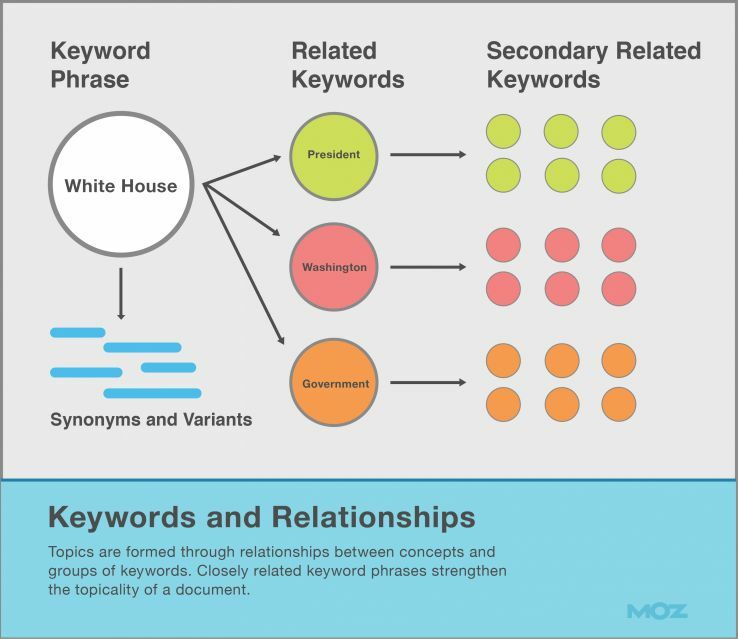 By using the White House, Google has an idea of what related keywords might be included in the article. By correctly identifying and including these terms in your writing, you are affirming to Google it’s thoughts on your article and helping Google correctly index and rank your site. A great tool to discover these related keywords, that you should use while creating each article is www.keyword.io. Google has also become very good at identifying where an article’s most important terms are included. And in general, keywords and phrases that are higher on the page are recognized to be more important. Also, it’s a good idea to take those related keywords that you found in the last step and use those as your H2 subheaders. Every article should have a link every 150 words or so. This is not a strict rule, but rather, it’s a guideline as to what to look out for. When you do link, it should be a contextual link, and it should include anchor text. Anchor text is the highlighted part of the text that is highlighted and can be clicked. Take this example on LeanMarketing as a good use of linking. Note where the links are, the kind of anchor text used, and the fact that the links are to websites that are important to the context of the article. You should link to relevant pages within the site (internal) and relevant, high-quality sources from around the web (external). Quality & relevance is the sole purpose of linking out to something, if you mention a resource or a piece you used to research your post you should link to it. If a link doesn’t make sense, don’t link out. Google is good at finding details and information on websites and correctly identifying their properties. It can identify things like dates, names, places, etc. 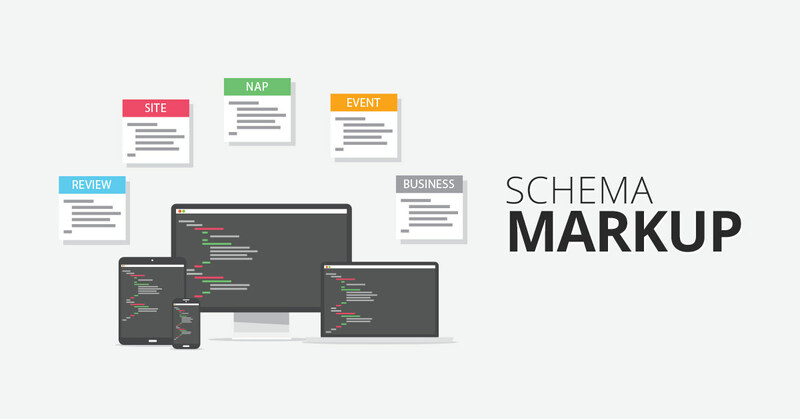 However, sometimes it’s good to also mark up your website with schema when you can, just to be sure. You can also bold, italicize and underline relevant text in your article. Readability is a big deal for websites. Though it won’t necessarily affect the search results, it will effect bounce rates on the website, and whether people make it to the CTA and convert. This is important, and taking a few simple steps can help. Use subheadings frequently to divide article into smaller sections. Remember, that people skim very quickly online. The more frequently you break content apart, the better. More white space is good! Experiment with different content forms to find the ones that users respond best to in your field. If the content already exists online you should not be using it word-for-word in your article. There are exceptions to this such as quotes, but if possible your quotes should always include an attribution link – either to the author’s website, wikipedia page, social profile (Twitter/Facebook) or the original source where you found that quote (i.e. an interview on a popular website). Copy & pasting from around the web makes your content useless. Google knows when they’ve first seen a piece of content because of their crawler, they can timestamp a piece of content and based on that plus links back to it (people attributing that content to the source) they’ll know that the content you stole was written by someone else first. Google does not rank the same content, it would be a bad experience for users if results #1 through 10 were all the same content copy & pasted. How do we get around this if we’re rewriting a page or a post? We do exactly that, we rewrite and re-word it. Change the sentence structure, re-organize the paragraphs where possible and use synonyms. If you have to create many similar pages for 1 website, uniqueness becomes even more important. We regularly need to do this for “Local Landing Pages” – pages about the services our clients offer, typically for 5 to 15 surrounding cities. If the content is copied or very similar on these pages Google will actually penalize the site rather than just ignoring the duplicates like they would for copying from an external site. 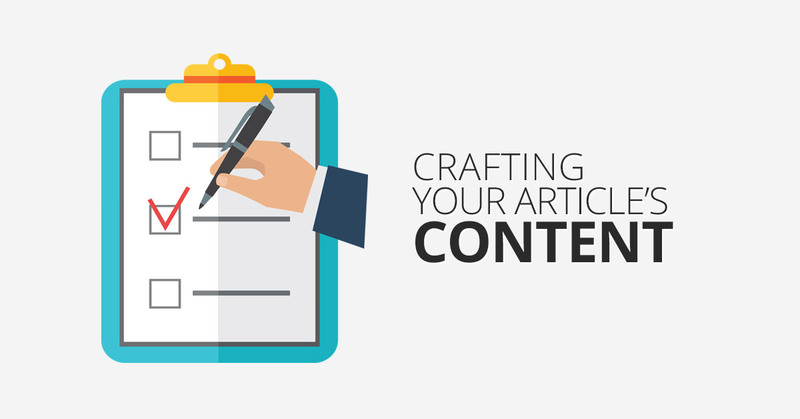 Craft an article that is compelling and interesting to a human being. Never include duplicate content; all content must be 100% unique. Try to include a call to action at the bottom of an article, even if it may just be a “suggested further reading” section, or something similar. Consider websites in the space, and think whether your article would be good enough to be accepted there. 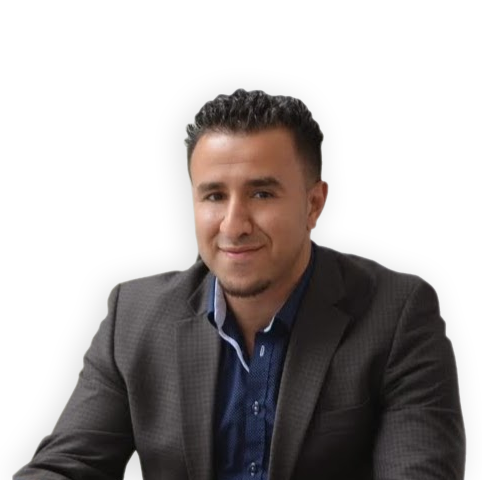 Leanmarketing.ca is a great example in internet marketing. Alex is the Search Team Director at The Magistrate. Powered by resourcefulness and strong processes, Alex has built himself into a full-time digital nomad and is now into his fourth year living and working in South America.